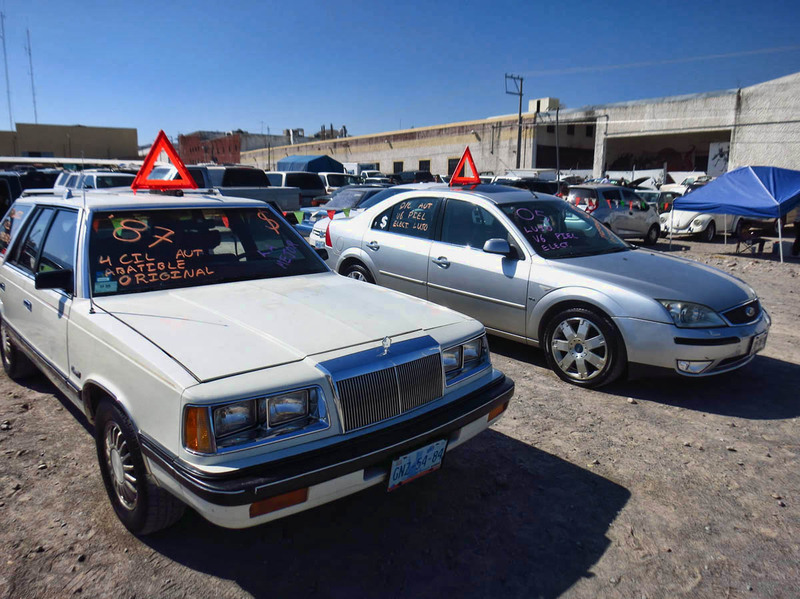 Early Tuesday morning, a steady stream of taxis, delivery vehicles and farm trucks rumble up the hills of the Cuesta de San Jose and Canal Street toward San Miguel’s Tuesday Market, also known as “Tianguis del Martes.” It only takes place on Tuesdays (ergo the name “Tuesday Market,”) between the hours of 9am and 4pm. Just the fact that an open-air market of this size, estimated to be as large as three football fields, can set up and disassemble so quickly for only one day a week makes it worth the trip. Even the parking lot is part of the market! 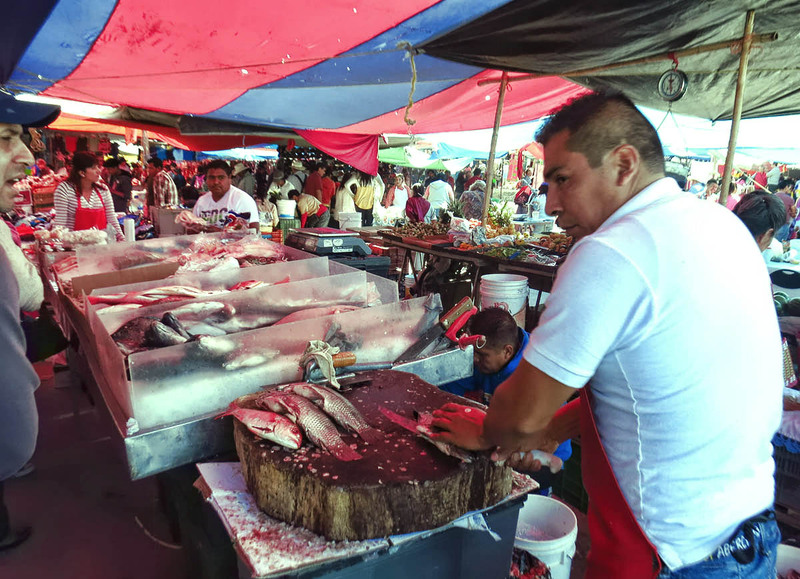 As many times as I have been to San Miguel, I never managed to make it to the Tuesday Market until this trip. Either I was working, or there was a schedule conflict. But this trip, the location of my beautiful casita I had rented for the month was within walking distance. Granted, it had quite a climb up the hill, but ever determined to keep up my walking schedule, it gave me a good reason to keep moving. I visited the market the first Tuesday I arrived in town, just out for some exercise. As soon as I approached the massive assembly in the midst of dusty crossroads, I could sense the hum of the activity. 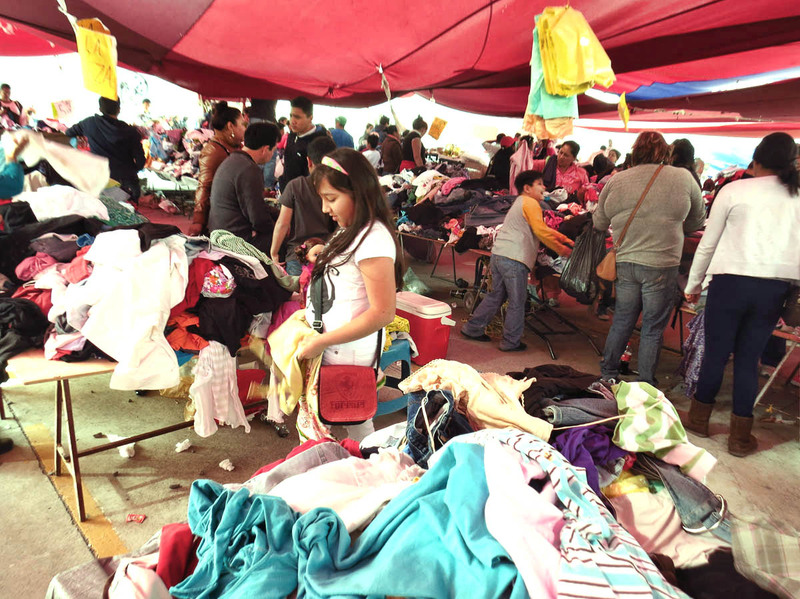 Having only seen the smaller markets of San Miguel, this place seemed overwhelming! The first thing I observed was unlike most markets that have separate areas with a meat section, a produce section, a bakery section, this was one big free-for-all! No rhyme or reason to the outlay of items for sale….the bras were right next to the beans! I thought, well, maybe it is first come first serve, and it fills up according to who arrives first. But each time I went back, the placement seemed to be the same. Although I had a list of junk to shop for, I also timed my visit to coincide with lunch. 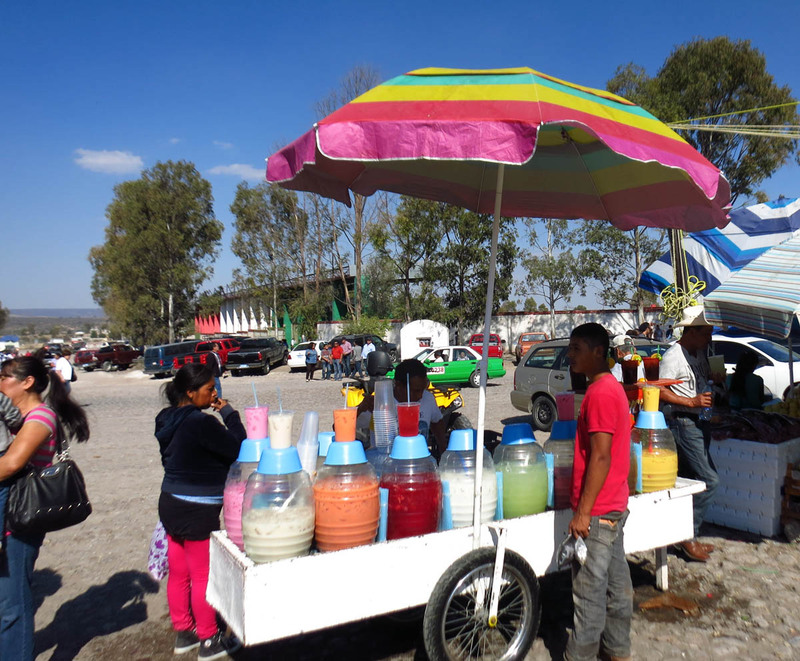 Being a fan of Mexican street food, I had read that there were some unique offerings in the market. After perusing every aisle and stall, though, I ended up taking the safe route and sticking to my tried and true favorite, Tacos al Pastor, pork on a roasting spit, carved right into the warm corn tortilla, sprinkled with onions and cilantro. Hiking boots for the vertically challenged. Ever wonder where all that used clothing went that you donated? Another “experimental” offering which turned out to be a keeper was the “cocktail” stand. But not cocktails in the traditional sense, rather those of a fruit and vegetable variety. I ended up with a three layer cocktail of grated jicama on the bottom (a little like a radish, but sweeter,) grated carrots in the middle, and beets on the top, coated in chili and lime. 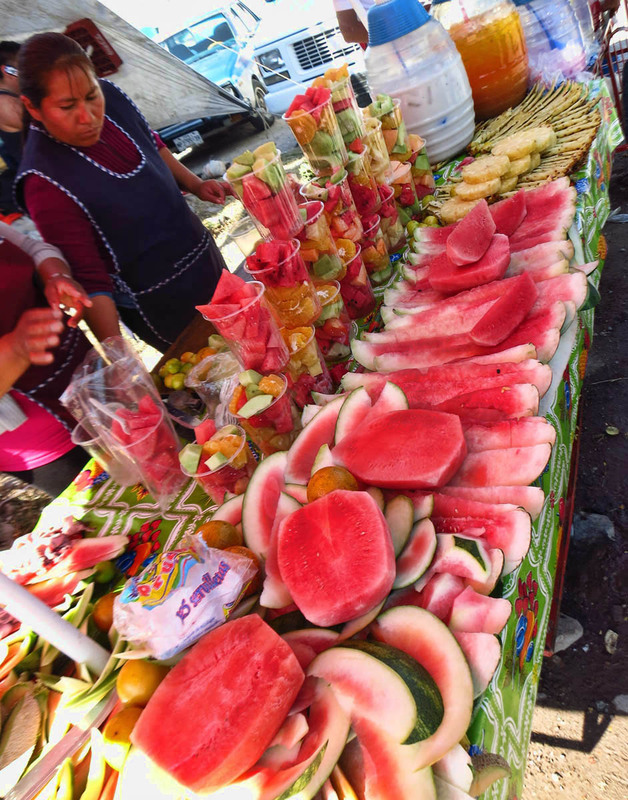 It is not often easy to find fresh vegetables in Mexico unless you prepare them yourself. 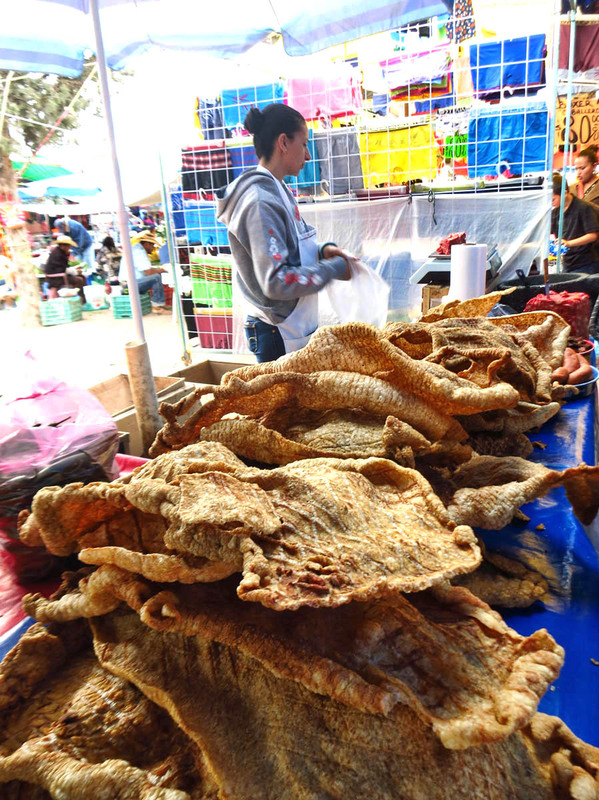 Street food or taco stands are mostly meat offerings. So fresh vegetables “to go” were a real treat which I repeated three weeks in a row! Fresh fried potato chips. I had mine with chili and lime. Fish market so fresh you can’t even smell it. 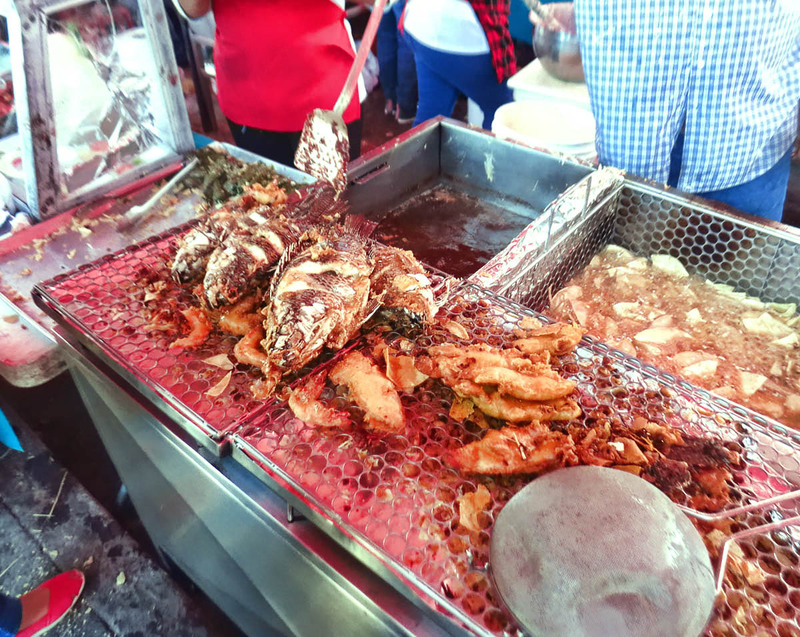 Buy your fish fresh, and have it deep fried. While in San Miguel, I was invited to a really posh party on the afternoon of New Year’s Eve. (It was given by a Brit, so we celebrated “midnight London time” at 6:00pm.) 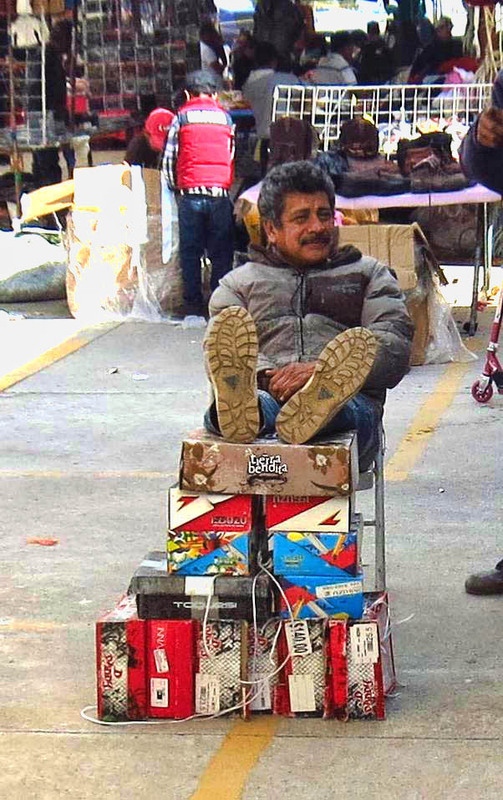 While sipping champagne, the conversation of El Tianguis came up. It was fascinating to listen as the well heeled women confessed their shopping secrets regarding which table had the best designer duds. I am told the secret is to arrive before the market opens, as early as 7:30am. There is one lone table in the back that will already be set up, waiting for the early arrivals. Labels like Henri Bendel, Ralph Lauren – the highest prized items being the cashmere. 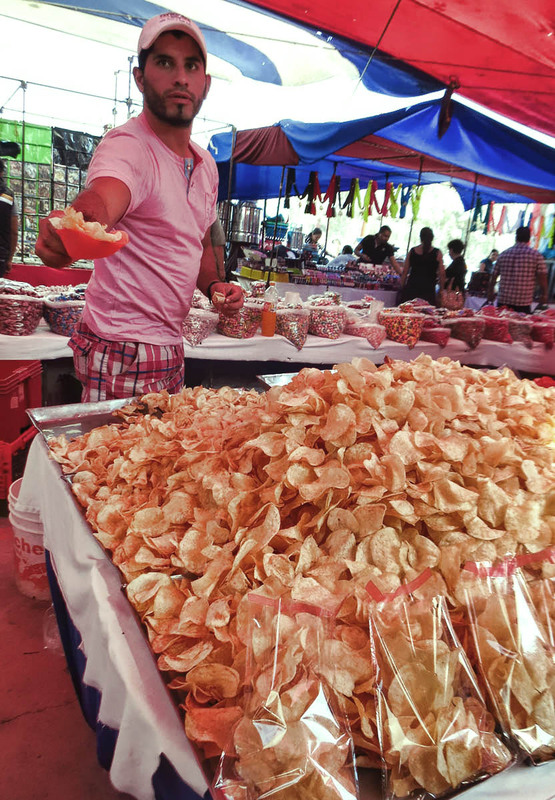 Chicharrones, or gigantic fried pork rinds. 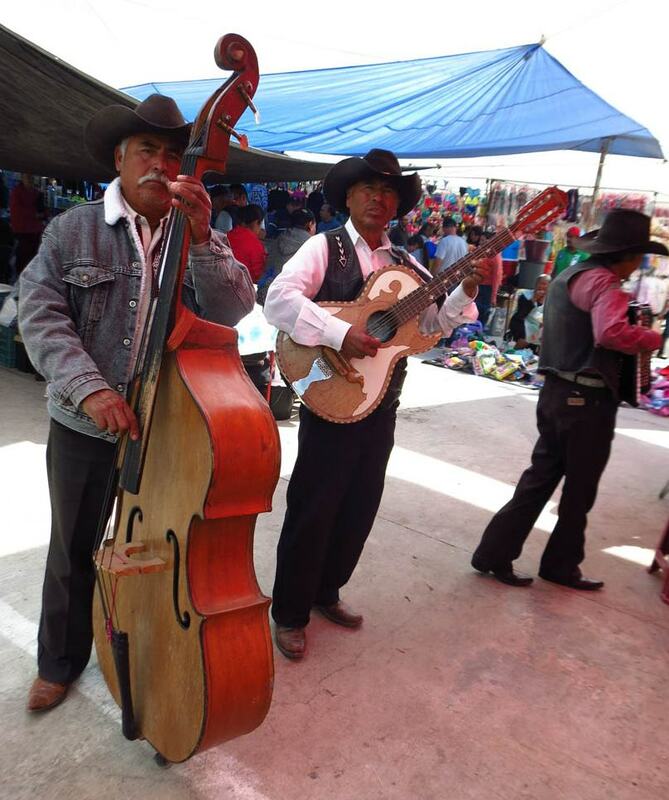 This entry was posted in Mexico, San Miguel de Allende and tagged El Tianguis del Martes, Tuesday Market by Suzanne. Bookmark the permalink. Oh,I think the hiking boots are you!! I can see you on a Mark and Bobbie trek now…….Not!! 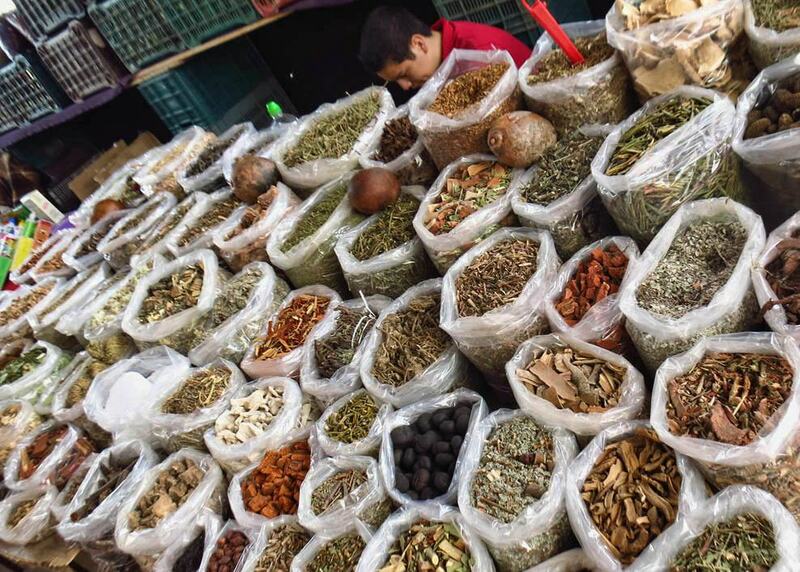 I find markets fascinating, but rarely find anything I can’t live without….just to overwhelming. Fun to see though! What a gorgeous market! Those strawberries! Those potato chips (one of my biggest weaknesses, I cannot have them in the house!)! Are those really strawberries? They look like they would weigh at least a pound each! What a bizarre and interesting market, it looks like you could get just about anything there! These days, I would just rather go where the weather suits my clothes. Well said my friend! 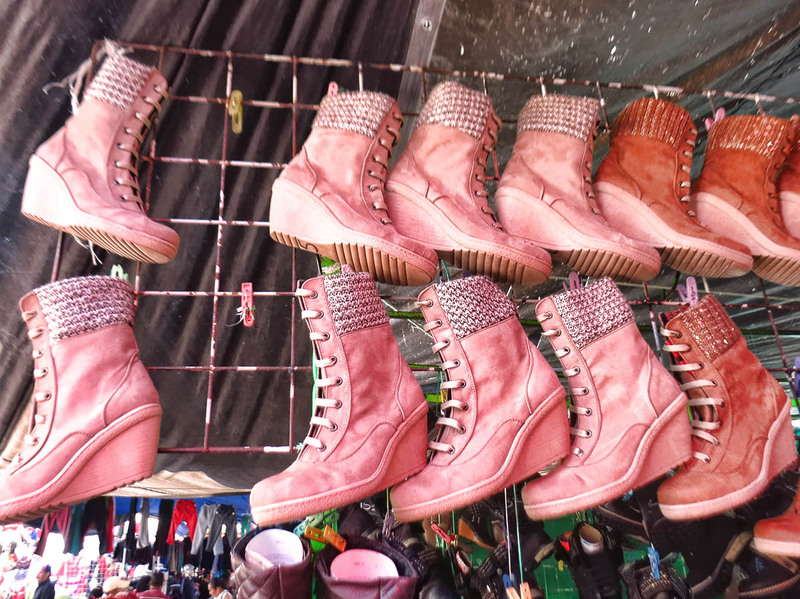 Love the market photos. Beautiful strawberries, and the veggie cocktail looks delicious! Quite an amazing market. This was so cruel to post this market!! How totally cool! 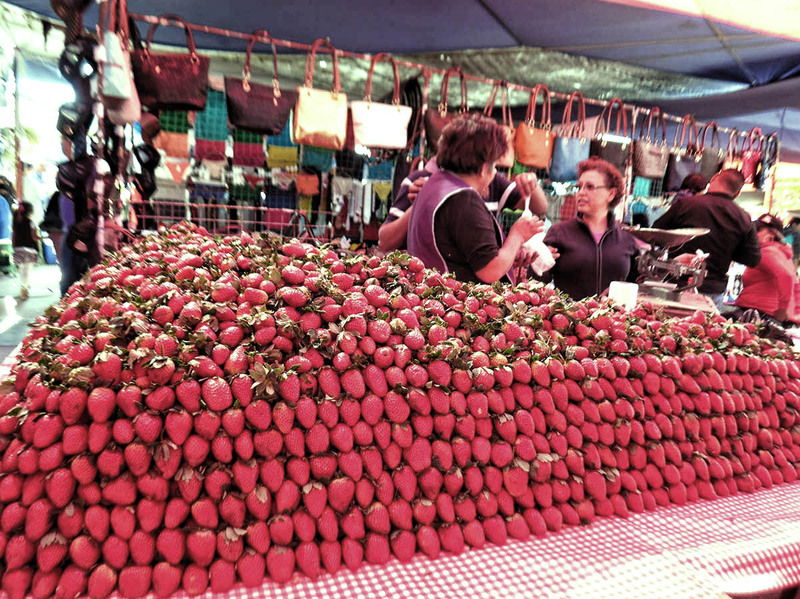 That mound of strawberries was amazing!! All those herbs and spices!!! What a hoot to see the bikini underwear flying high…haha! That cocktail looks so yummy!! Quite the interesting selections!! OMG are those strawberries!!!??? I’m drooling now for sure and that market looks like someplace I would definitely go to and hey, the walk would easily justify the potato chips which look amazing! So enjoy that you are giving us a taste of this lovely town! love the veggie cocktail, have not seem that anywhere else. I like how you travel and see things. thanks. 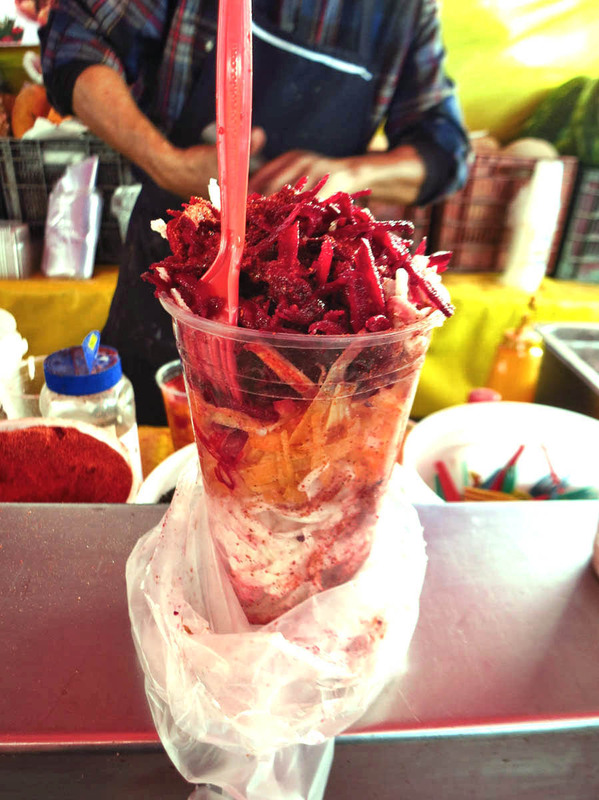 We also love the Mexican street food and the fruits and vegetables laced with chili and lime. 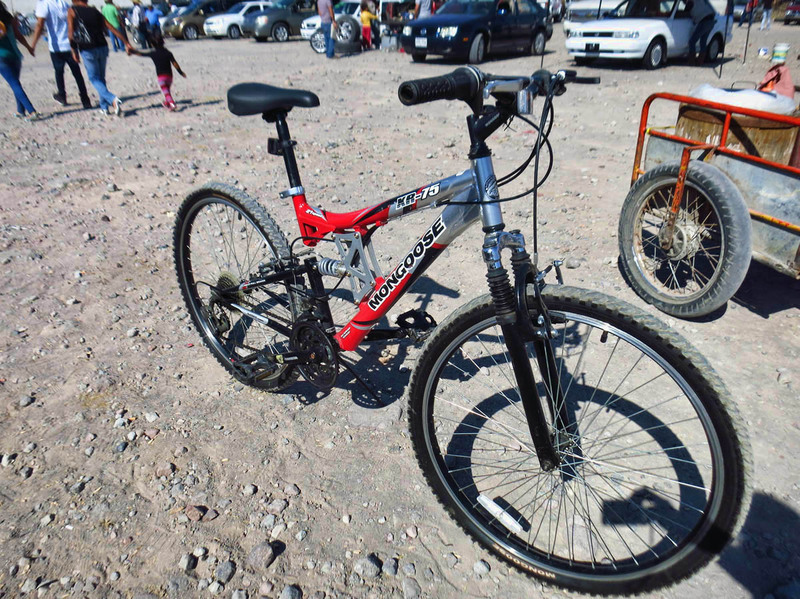 Wish we had known about the Tuesday market while in San Miguel.